When I first wrote about this drink back in 2012 it wasn’t yet a thing. 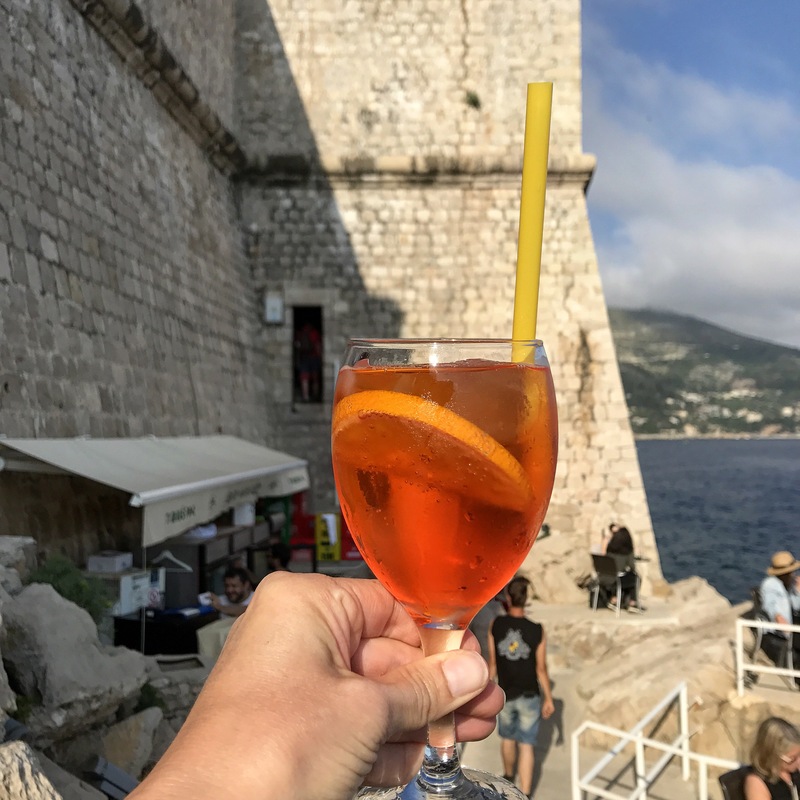 Now, the Aperol Spritz is having a moment, both here in Canada and across the pond in Italy, Slovenia and Croatia. Cheers to Europe! Who knew the Aperol Spritz was so popular across the pond? I’m sipping this one outside the walls of Dubrovnik at cliffside bar Buza 1. 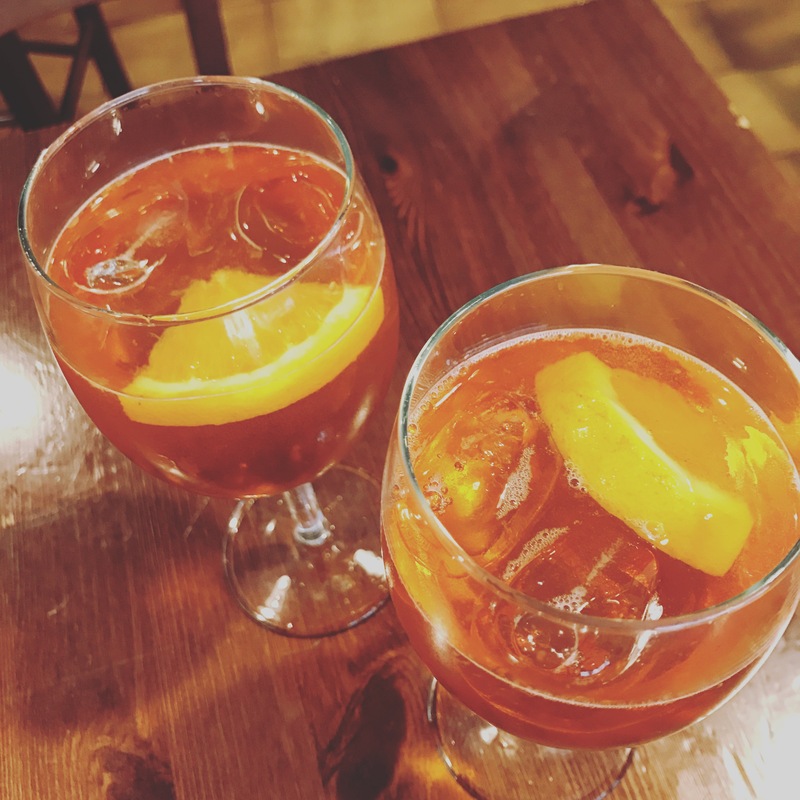 My husband and I have just returned from a trip to Europe, where we drank beer, wine and our share of Aperol Spritzes. I first spotted the gorgeous, topaz-hued drink in Venice, where happy-hour tipplers were getting their aperitif on at outdoor cafe-style bars (not that surprising, since Aperol, a bitter orange and herbal spirit, is made in Italy). Just a couple glasses of Aperol awesomeness in Venice. We travelled on to Slovenia, where prices on the cocktail dropped from 4 euros to 2.5 euros (woot!) at trendy patios along the Ljubljanica River in Ljubljana (try saying that fast five times in a row). Farther south in Croatia, in both Split and Dubrovnik, the drink was as hot as ever. Nectar of the emperors? 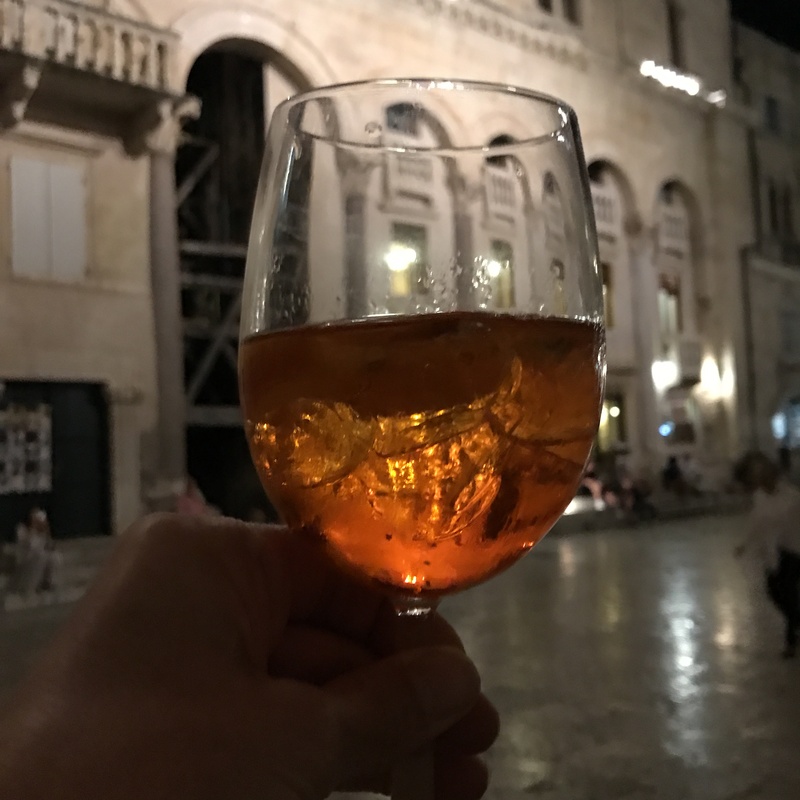 An Aperol Spritz inside Roman emperor Diocletian’s palace in Split, Croatia. If you haven’t had one yet, you’ve got to try this drink. It’s so simple — really nothing more than sparkling white wine or Prosecco bitter oranged-up with Aperol, and diluted with a splash of sparkling water. It’s also refreshing, delicious and beautiful to behold. Drinking one on a Calgary patio — or next to the walls of Dubrovnik — will make you feel très chic all summer long. Method: Build over ice in a wine glass and garnish with an orange wedge.